In this series, I highlight some of the interesting choices made by creators regarding their project’s reward levels, stretch goals, and overall campaign design (the projects themselves, not the content or product). This isn’t an endorsement or promotion. I’ve seen nice timelines on project pages, but I don’t think I’ve ever seen such a detailed timeline after a campaign is complete as the one that Gino Brancazio created for his game, Ghostel. The timeline infographic on this page shows the date of every update, milestone, and benchmark starting from launch day and ending on their fulfillment deadline. This is an insightful resource for any creator or backer who wants to see all of the steps and timeframes involved in running and completing a crowdfunding campaign, and I like that Gino shared it to coincide with the launch of Ghostel’s expansion campaign as a show of transparency and credibility. I love when creators take the time to do a deep dive into the behind-the-scenes process of creating their Kickstarter page, particularly when it’s educational for other creators. The team behind the game Soheresone did this with a detailed article on Medium about how they created their polished project video with no experience and on a very limited budget. The article is definitely worth checking out if you’re looking for some innovative ways to film a project video. This roleplaying game is doing something I’ve never seen before on a project. On one of their early project updates (and continuing through others), they encouraged backers to tell their character’s story as it relates to a village called Ellomyr in the Numenera world. Backers were invited to use the comments section on Kickstarter or social media to tell their story, and the creators of the game might share the story or even add it to the sourcebook. Basically, they set aside a village to be occupied by backers. How cool is that? It engages backers in a really unique way, and the meta-level it adds to the game itself is neat too. IDW did something unique with their latest Kickstarter project: Instead of stretch goals as a source of engaging backers throughout the campaign, they decided in advance to include a ton of stuff in the deluxe version of the game, and they simply revealed deluxe elements every day. I really like several aspects of this. The first is that they committed up front to making the best, most deluxe version of the game–they didn’t ask for backers to “earn” it. The second is that they created the feeling of the game getting better and better every day of the campaign without the arbitrary nature of stretch goal thresholds. The third is that they gave backers a reason to return to the project page every day to see all of the new stuff they’re getting. Ever since I stopped using Kickstarter, I don’t have my own stock of games at fulfillment centers around the world, making it very expensive to ship games to international reviewers. So I recently tested out a collective called Board Game Exposure in the UK that seeks to address that issue for non-UK creators. The basic idea is that you can send a single copy of a game to one address in the UK, and the reviewers in the collective will each play the game, review it, and ship it to another person in the collective to play and review. And so on until your game has been played and reviewed by up to 5 reviewers (this number may grow). I tested this concept by sending one copy of each of our games to Board Game Exposure, and the system worked remarkably well. Over the next month and a half, I saw reviews of these games posted every couple of days, as there were 5 different reviewers playing and reviewing 4 different games, all for the shipping cost to me of one carton to the UK. It was absolutely worth the money, and I would definitely do it again, especially if I could consolidate a few different games into the shipment. I’d love to see similar collectives spring up in other parts of the world. 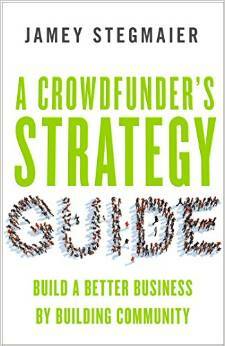 It benefits Kickstarter creators, publishers like me, and reviewers who are trying to build their audiences (though it’s important that you’ve already started to build your audience–read this to learn more). What do you think about these innovations? Have you seen any other interesting innovations on Kickstarter lately? To read more articles like this, here’s the master list. Board Game Exposure sounds amazing! I’ll definitely be looking into them, as getting 5 reviews for the price of shipping one game is fantastic and it looks like it’ll only get better as more people join. Hopefully more collectives start appearing as that would transform Kickstarter preparation and take away a lot of stress. I would love to do what The Legend of Korra did as it sounds so engaging, but I would have to get way better at planning. It would make the Kickstarter process a lot smoother, though, if you have content planned out for every day and you just have to post it. Thanks for the article! It’s given me a lot to think about in regards to my next campaign and how to take it a step up from the norm. Thanks Carla! I agree about Korra’s system–it would be super handy to have something exciting to announce every day, and the pace of those announcements is completely under your control since you’re not waiting to hit a stretch goal threshold. Good luck in the final week of Stellar Leap’s campaign! Thanks so much for the mention it means we are doing something right and the dream of creating a media outlet for games is working so far. Plenty more hardwork and I am sure we will grow. I would love to see more review colectives pop up and would be willing to offer help and advice to anyone wanting to do that. Like Jamey says though you will need an audience already. If anyone wants to use us now or in the future then please get in contact. I’ve used BGE and Nick’s been a pleasure to deal with. I’m really looking forward to seeing what impact this has on reviewers just starting out, and I agree that the potential of these kinds of collectives is really exciting. Thanks for another great post Jamey. 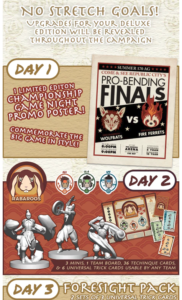 What The Legend of Korra did with the deluxe version instead of stretch goals is definitely interesting and fun for the backers as they get to watch their reward get better throughout the campaign – it’s somewhat similar to how fun it is when new capability or apps are added to your smartphone in each software update. However, it removes some of the incentive backers have to share the project with their friends since they no longer have any direct reason to help the project funding level grow. Definitely some trade offs … but it does align well with making the backers interest the top priority. Dustin: That’s true about the tradeoff of sharing a project with your friends and having that “we’re all in it together” feeling.